The federal government scrambled Thursday to meet a deadline set by a federal judge in San Diego to finish reuniting children who were separated from their families at the border, but hundreds of them remain in federal custody because they have been deemed ineligible to be returned to their parents. According to court papers filed Thursday, the federal government contends that of the roughly 2,500 children who were separated from their families during the Trump administration’s “zero-tolerance” immigration policy, 1,820 have been returned to their families or otherwise released. An estimated 711 children, however, remain in federal custody, with the parents of 431 of them having already been deported. According to the court papers, the parents of 120 of the remaining children waived reunification. The rest have been otherwise deemed ineligible for reunification, possibly because their parents have criminal records or their parents can’t be found. In a briefing Tuesday, Sabraw expressed confidence that the bulk of separated children would be returned to their parents by the deadline, calling it a “remarkable achievement.” But Sabraw also had harsh words for the government, saying the administration separated the children from their parents without considering the process of reuniting them. 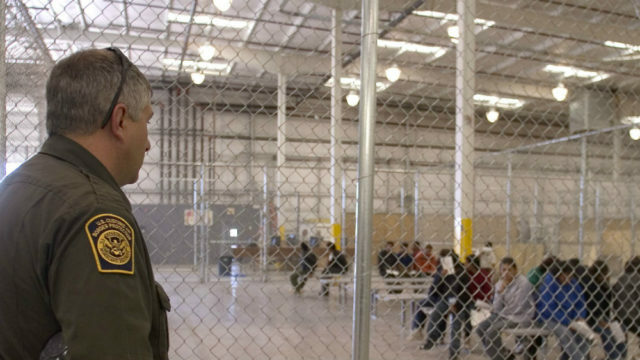 Attorneys for the American Civil Liberties Union, which filed the lawsuit that led to Sabraw’s reunification orders, continued lashing out at the family separation policy Thursday. “This is a disaster they created,” ACLU national attorney Lee Gelernt said. ACLU attorneys plan to ask Sabraw Friday to issue an order preventing any newly reunified families from being deported for at least seven days. The ACLU claims families should be given time to make an informed decision about their legal options — such as whether they want to depart the United States together as a family or if they want to leave their children behind in hopes they’ll be granted asylum. “Families have had no chance to talk about legal decisions (regarding deportation),” Gelernt said. Sabraw last week issued an order last week temporarily blocking all deportations of newly reunited families. Government attorneys claim a further seven-day delay us “unwarranted,” saying families have had plenty of time to consider their options while they have been detained. Those families “have no entitlement to such a waiting period, and no entitlement to be re-separated at all,” according to federal government court papers filed this week.